I’m really looking forward to what Mark Waid has up his sleeve! Some decades and thousands of issues later, the acclaimed writer is selling his entire collection again, but this time to fund a project that potentially could change his industry. And this time, he’s OK with not getting them back. 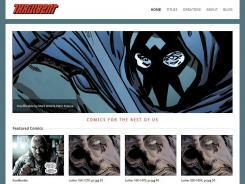 Mark Waid makes a bold digital move with Thrillbent website – USATODAY.com.